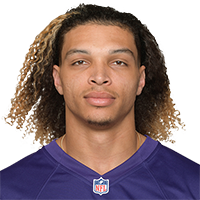 Snead recorded a team-high 62 receptions for 651 yards and a touchdown on 91 targets in his first season with the Ravens in 2018. Analysis: The former Saint was a consistent contributor in Baltimore's low-volume passing attack this past season. He saw at least five targets in 13 games and caught 64.4 percent of his looks while accounting for 18.5 percent of the team's air yards. Snead's reliable presence over the middle and as a downfield blocker make it likely that he'll be back for the second year of his two-year deal in Baltimore in 2019. Snead brought in three of six targets for 50 yards in the Ravens' 23-17 wild-card loss to the Chargers on Sunday. Snead was not targeted in Saturday's 22-10 win over the Chargers. Analysis: Snead was on the field for 42 of the Ravens' 62 snaps on offense Week 16, but he put up a zero for those hoping he'd be a PPR asset following back-to-back five-catch efforts. 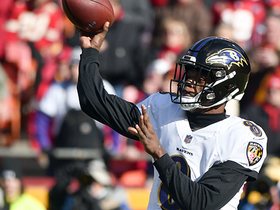 The slot man will look to get back on the same page with QB Lamar Jackson in Sunday's regular-season finale against the Browns. 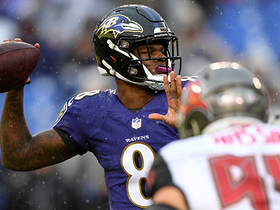 Snead brought in five of six targets for 58 yards in the Ravens' 20-12 win over the Buccaneers on Sunday. Snead caught five of seven targets for 61 yards in Sunday's 27-24 overtime loss to the Chiefs. Snead caught one of three targets for eight yards against the Falcons. Snead was not targeted despite playing 49 of the Ravens' 70 offensive snaps against the Raiders. Analysis: The former Saint went from being the most-targeted receiver against Cincinnati in Week 11 to being blanked in the box score in Week 12. The silver lining is that Snead's playing time did not take much of a dip, so he doesn't appear to be in danger of losing playing time. Snead will draw a familiar matchup against a former division foe, the Falcons, on Sunday. Snead caught five of eight passes for 51 yards during Sunday's 24-21 win over Cincinnati. Snead caught seven of eight targets for 58 yards in Sunday's 23-16 loss to the Steelers. Analysis: Snead led the Ravens in targets, catches and receiving yards. The slot receiver has established some nice PPR value heading into Baltimore's Week 10 bye, having eclipsed five catches for 50 yards in five of the past six weeks. Snead's ceiling is capped, however: His season high in yardage is 60, and he hasn't scored a touchdown since Week 1. 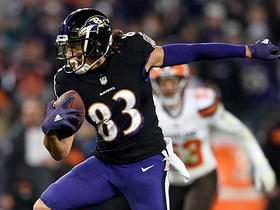 Baltimore Ravens wide receiver Willie Snead bounces off Browns tackles for 25 yards. 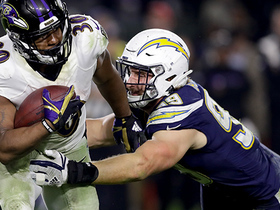 Baltimore Ravens running back Kenneth Dixon loses the football as he fights for more yards and the Los Angeles Chargers recover it. 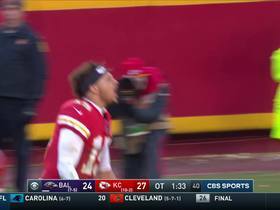 Baltimore Ravens quarterback Lamar Jackson delivers 28-yard strike to wide receiver Willie Snead. Baltimore Ravens wide receiver Willie Snead goes up for top-shelf throw from quarterback Lamar Jackson for 16 yards. Kasas City Chiefs defensive back Kendall Fuller delivers game-sealing pass breakup on Willie Snead. 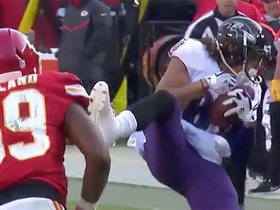 Baltimore Ravens quarterback Lamar Jackosn threads the needle to Willie Snead for clutch third-down pickup. 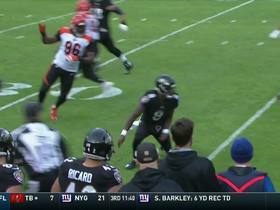 Baltimore Ravens rookie quarterback Lamar Jackson makes tackle after Shawn Williams' interception. 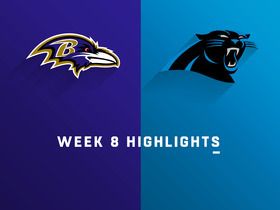 Watch the best plays from the Week 8 matchup between the Baltimore Ravens and Carolina Panthers. 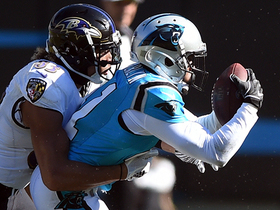 Carolina Panthers cornerback Captain Munnerlyn intercepts Baltimore Ravens quarterback Joe Flacco. 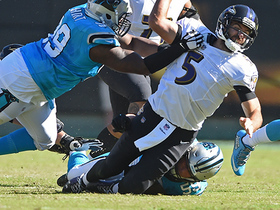 Carolina Panthers linebacker Luke Kuechly puts pressure on Baltimore Ravens quarterback Joe Flacco for a turnover on downs.